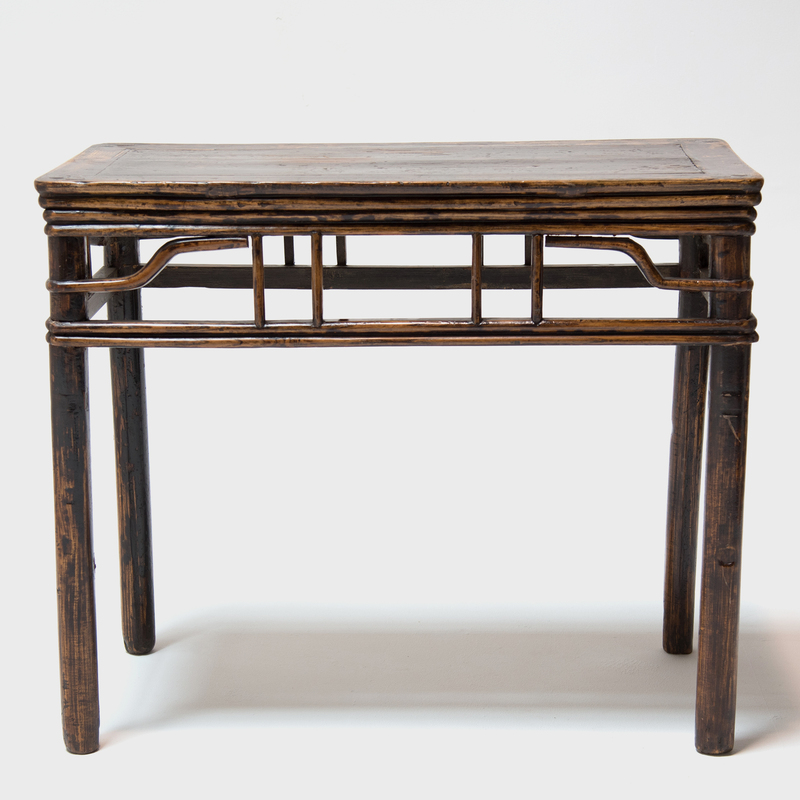 W: 62.75" D: 16.0" H: 33.0"
Over 150 years ago this splendid cypress wood table sat as the centerpiece in a family’s home in China's Shanxi Province. 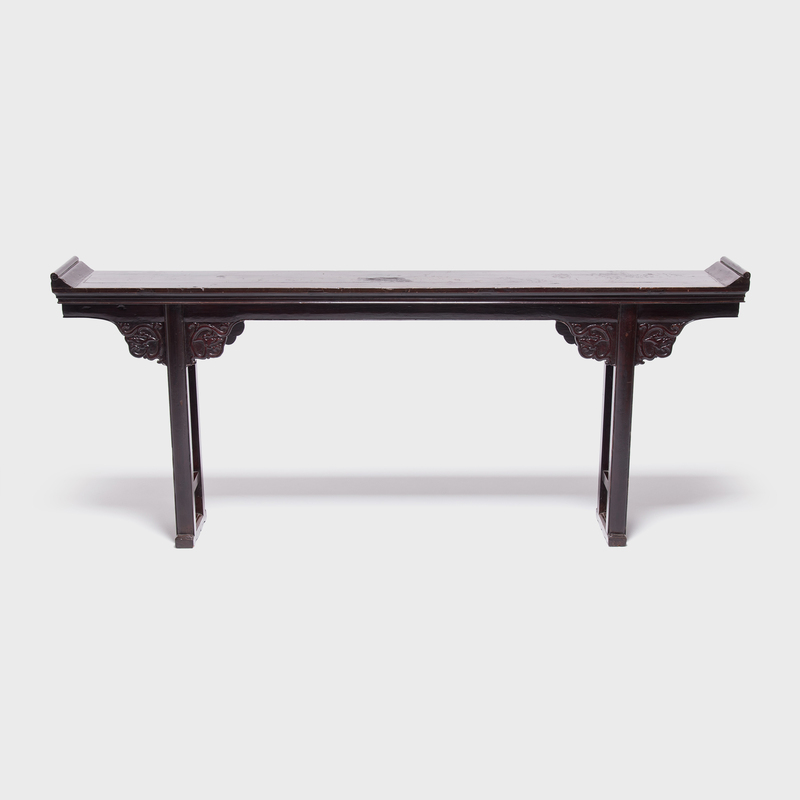 It probably served as their altar, the place where they paid respects to their revered ancestors. 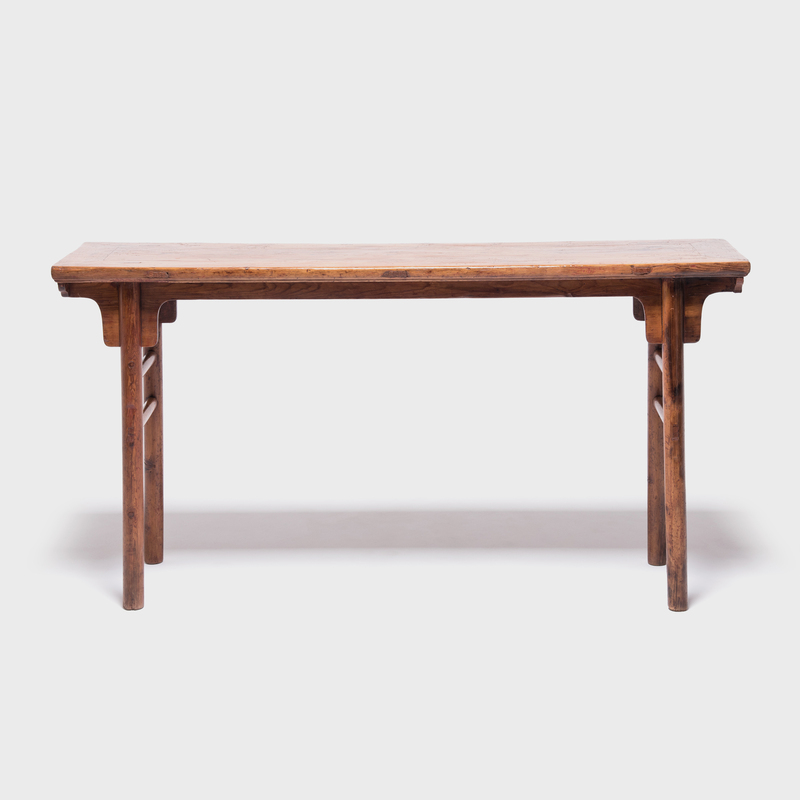 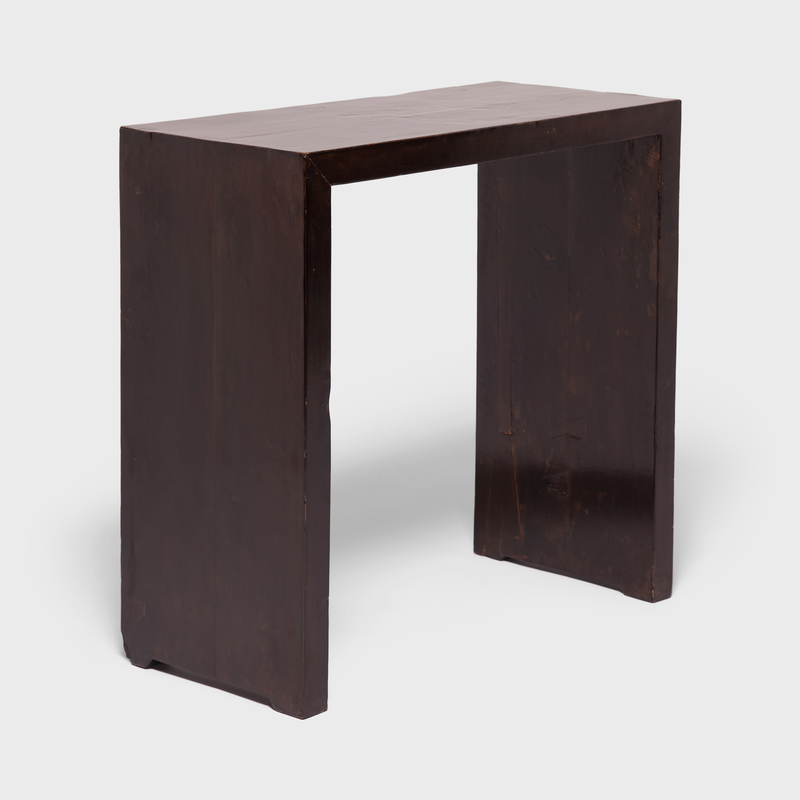 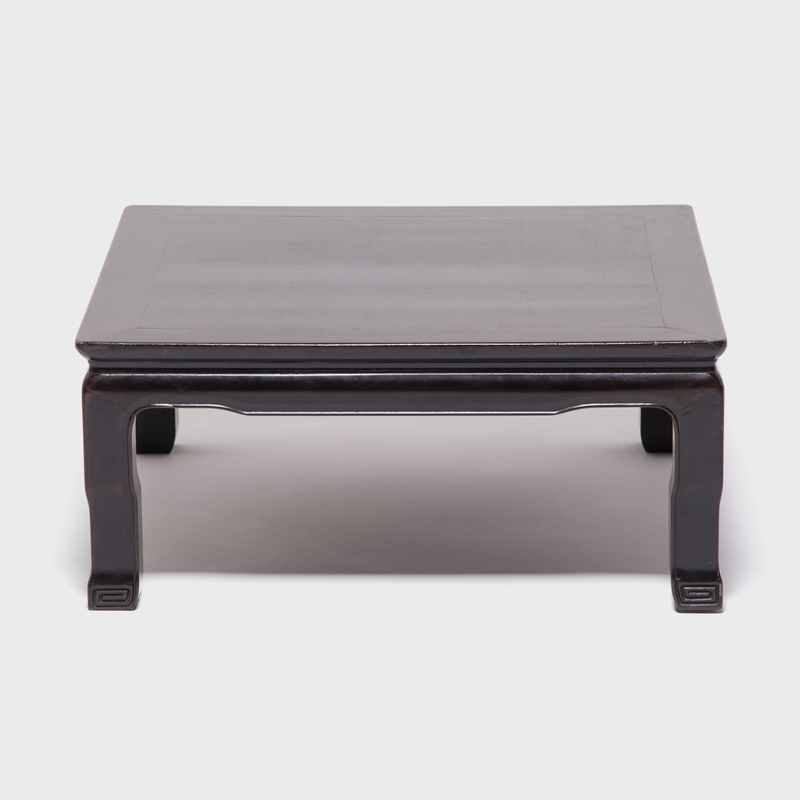 The elegant table is inspired by older, classic Ming Dynasty designs highly prized by collectors: the simple stretchers, tapered legs, and beautiful antique patina.